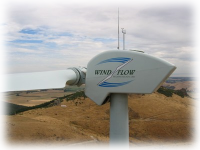 Our Anemometers and Windvanes are suitable for applications involving the control and monitoring of wind turbines. Please contact us for more information on products suitable for this application. Page Rendered in: 0.470751 seconds. - Powered by Mambo.